This book examines the 'public benefit requirement', which provides that a charity's purposes must be for the public benefit. This requirement was given statutory force by the Charities Act 2006, which also provided that 'public benefit' is to be construed in accordance with existing case law and not presumed. The author examines guidance published by the Charity Commission in 2008 and 2013 and measures its accuracy against principles extrapolated from case law, with a focus on fee-charging charities, and independent schools in particular. She also considers the implementation of the Charity Commission's public benefit assessments of independent schools during 2008–10. The book offers a comparative study of the law relating to public benefit in Scotland and presents an analysis of the decision of the Upper Tribunal (Tax and Chancery) in proceedings brought by the Independent Schools Council and Attorney General in 2011. It also considers subsequent reviews of the 2006 Act by Lord Hodgson and the Public Administration Select Committee and the Government's response to those reviews in September 2013. The fact that the law automatically bestows certain privileges on charities, including tax exemptions, means that the charitable status of fee-paying schools has proved particularly contentious and was described by Lord Campbell-Savours as making 'an absolute nonsense' of charity law. 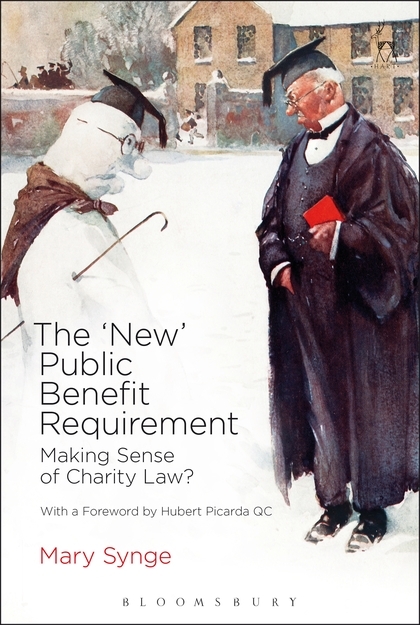 Here, the author asks whether the public benefit requirement, as enacted and interpreted, has succeeded in bringing any sense to our law of charity in recent years. Mary Synge is a Lecturer in Law at Cardiff University and former solicitor at Linklaters, London.